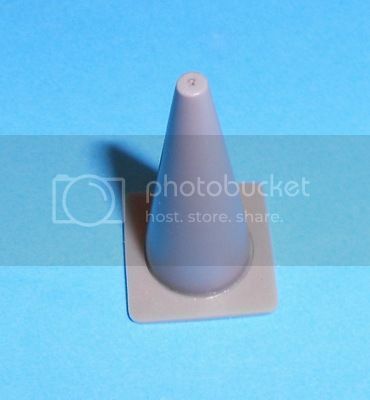 Here is a look at a neat diorama accessory brought to us through Aires and their Aero Bonus line. 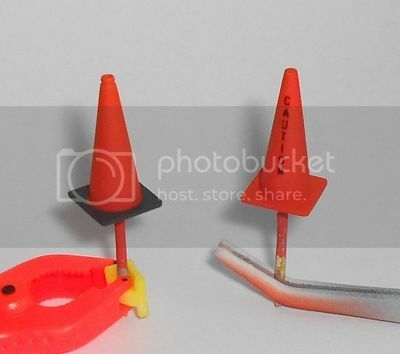 This resin aftermarket set gives the modeller six traffic cones to use in any contemporary diorama setting. 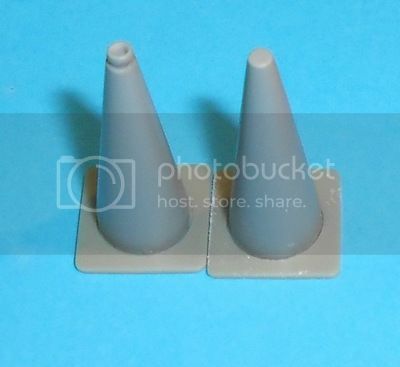 Each cone is made up of two parts and will assemble easily with CA or other suitable adhesive. In usual Aero Bonus style the resin is in a cellophane envelope with a stiff card insert to protect the contents. A single folded sheet of instructions gives the part call out and suggested colour schemes. I'll add an image or two of the finished items in due course. I used a razor saw to remove the parts from the pour stubs then glued them together using CA adhesive. 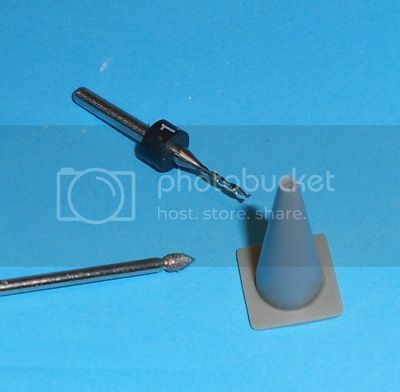 As an experiment I re-shaped the top of one cone with a drill and file. I primed the resin with Skull white whizz can primer by Citadel Miniatures before laying down the colour. I found the decals to be extremely thin and they liked to fold in on themselves. So much so that I could n't get the white bands to work. Consequently I shall be masking and spraying them at a later date. 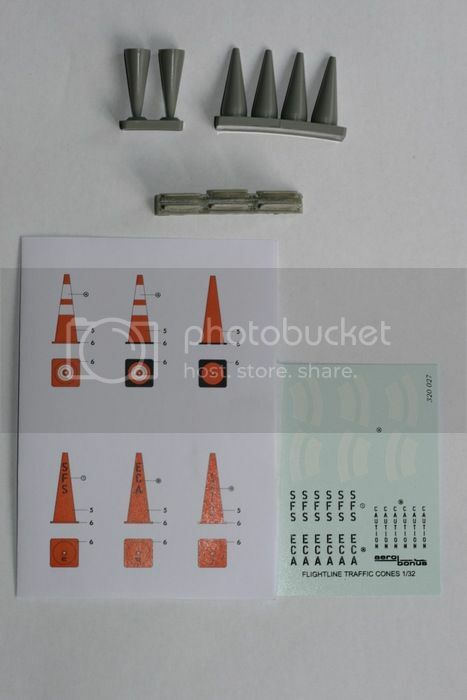 If you use these decals be very careful with them. Here's how the finished articles look. I masked and painted the "reflective" bands using Valejo silver grey. Weathering was a mix of pastel powders and water colour pencils. 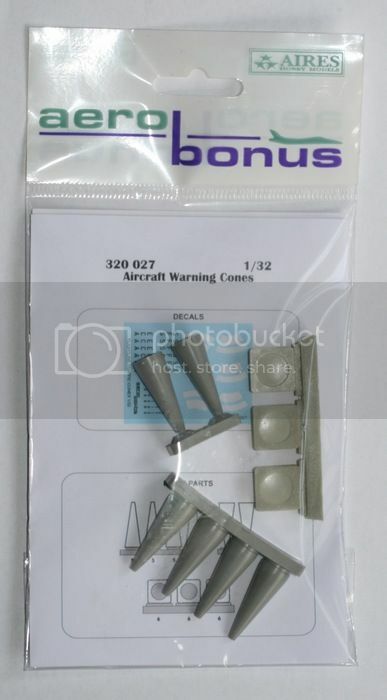 Does anyone know what either "SFS" or "ECA" would mean in relationship to airport marker cones please? those abbreviations are offered on the decal sheet but I don't know what they stand for. 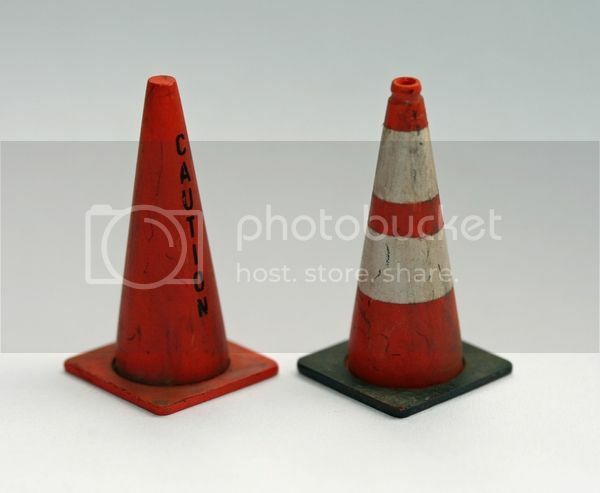 I'm not 100% sure, but I believe both cones should be open at the top. Yours look excellent.